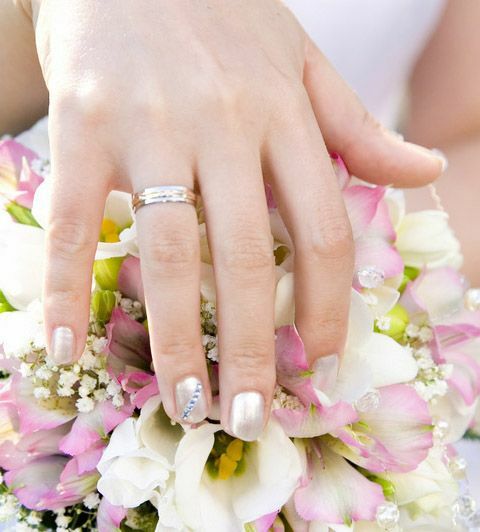 Soft silver or pearl nail polish is one of the prettiest colors for a bride. It’s a great choice at a wedding because it looks so feminine and looks perfect with a white wedding dress. This is a simple soft traditional bridal manicure with a twist: a row of rhinestones set diagonally across one nail: the nail of the ring finger.